Honestly, I feel weird even writing a wishlist this year. The world is kind of crappy right now, to say the least, & I don't feel like I have any business talking about expensive items I wish I owned. But I suppose there's no harm in dreaming, wanting, or wishing - as long as materialism doesn't reign supreme. That said, after I wrote out this list, I thought "My God, I am the most boring human in the entire world." 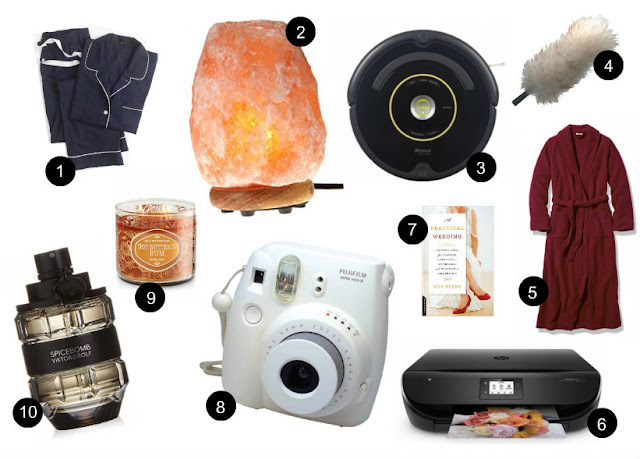 This is hardly a wishlist worth blogging about - & yet, here I am blogging about it.Without further ado, here's what I'd be buying myself this holiday season if I found lottery winnings in my stocking. iRobot 650 Robotic Vacuum Cleaner: Apparently I've become a person who asks for household items for the holidays. Damn it. But come on. Roombas are so cool, & having one would save me so much work, & did I mention that Roombas are so cool? An appointment with Cardinal Maids: I don't mind cleaning, but I really can't stand deep cleaning, the kind where you get on your hands & knees & scrub. Unfortunately, I live in an old building with old hardwood floors & plenty of nooks & crannies that need lots of cleaning. I would love to hire someone, even just once, to do a really solid apartment cleaning. A wireless printer: I don't know enough about technology to even know what kind of wireless printer I want, but I know I'm tired of walking to the library every time I need to print a label to send off one of my Poshmark packages. I'd love a printer that's not big & clunky, since my "desk" is usually the kitchen table. Hot Buttered Rum candles from Bath & Body Works: Truth be told, I'm a little embarrassed to love a scent from Bath & Body Works - it just feels so '90s! - but this candle smells decadent. I bought a bunch on sale after Christmas last year, & now I'm all out - which means that I'll be loading up again soon. Viktor & Rolf Spicebomb Eau de Toilette Spray: I once received a sample of this scent in a Sephora delivery, & I had already fallen in love with it by the time I realized it's a men's cologne, not a women's perfume. Nevermind that. I would totally wear it anyway. Like I said: Goddamn, I'm boring. Is... is this what adulthood is going to feel like from here on out? Asking for home appliances & medicinal lamps & a maid service? I can't even come up with a freaking article of clothing or a piece of jewelry or a pretty Etsy print? I just want candles & planning books & computer accoutrements? I don't know about you, but I'm feelin' 32. Happy holidays, y'all.